To close our underground series, we look at the crucial principles of an underground inventory. Underground inspections are necessary for asset owners, who must know the current conditions of their facilities. Although underground systems can seem unfamiliar and foreign, the reality of their condition is easily identifiable to trained and prepared auditors. 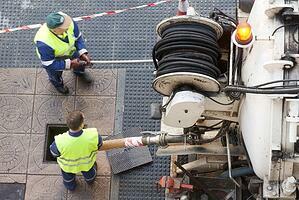 A routine inspection of each underground space is important for maintenance and safety. It benefits all parties involved, from asset owners to occupants, contractors and inventory personnel. Above all, regular inspections keep spaces organized and safe. Further, every State has environmental regulatory practices that must be adhered to. Regular audits ensure those regulations are met. Truly credible auditors not only identity violations, trespass, and damage, but also track and report updates in real-time. When a hazardous condition is found, asset owners need the ability to quickly access information. Inspection teams must be properly trained and prepared before going into an underground structure. Just as one would not let an inexperienced person into their home to fix plumbing or electricity problems, asset owners cannot afford to allow untrained auditors into their manholes and handholes. Consider vault space in the same light as any other real estate. The field inspector is the key to the success of any audit project. Information during an inspection must be relayed back to owners as quickly as possible. Good communication between key stakeholders is essential. Inspection teams should identify internal practices of the vault undergoing inventory. Every manhole is different, so it is important to understand construction practices and how things attach in each space. Further, field techs can face scary situations in manholes and beyond—dangerous animals, unsafe water and air quality, traffic, and weather. Caution is best achieved through proper training and safety protocols (air monitors, air blowers, water quality testing kits), and personal safety equipment (PSE). It is always a best-practice to proceed with ample caution before entering any underground facility. The ability to track and store asset attributes with visibility requires a program dedicated specifically to managing those assets. Pairing managed auditing services with an application such as a centralized, shared asset database helps drive better business decisions. An organized inventory is most successful in a one-stop-shop data management system that collects and creates reports, and sends real-time updates to assist with planning cost-effective actions to deploy equipment. After each audit, assets owners must retain the tools necessary to successfully act on inventory results. Average auditors may provide minimal details and move on to the next job. Companies who provide closing packages provide additional value to the client—guiding them to the appropriate next steps. Want to see an example of a great closing package? Request your consultation today. Unfortunately, damage and trespass are common in underground spaces everywhere. Taking regular inventory of underground assets is vital to revenue growth, customer satisfaction, and company-wide longevity. Keeping track of the following factors can increase profit, while maintaining or gaining competitive advantage: where occupants are located in your system; which occupants are permitted in your system; and which occupants and contractors are adhering to safety regulations and construction best-practices.